Why Is Princeton Council Funding A Gym At The Valley Road School Site? Update a gymnasium on the Valley Road School site. Wait- what? Update a gym at Valley Road? Where did that idea come from? The Valley Road School site has been a bone of contention between residents, the School Board and Princeton Council. Faced with the proposal to place a non-profit center at the crumbling building at 369 Witherspoon Street, which was a school until the 1970s, the School Board chairman Tim Quinn said that the Board wanted to retain control of the site, but had no current plans for developing it. Now- suddenly- we have a plan to upgrade a gym. The gym is apparently in the renovated part of the site, but it seems strange that this is the first mention of a need for expanded recreational facilities on the site. Who is this gym for? High School students are well catered for at their own site, and it’s unlikely that Community Park elementary kids are going to be coming over to pump iron. In fact, the possibility that no student will ever use the gym is already being considered, even before the gym is renovated. If students do not use it, it will be used for unspecified ‘Recreation Department Programs’. Whatever these programs are, could they not be done at the YMCA gym on Paul Robeson Place, which completed a renovation earlier this year? Council Member Bernie Miller has also suggested that the new gym could serve as a reception center in the event of another emergency like Hurricane Sandy. Really? Use a gym as an emergency reception center? Why not use the huge municipal building across the road instead, which was specifically built to seat large groups of people? It really is a remarkable coincidence that just at the time when Council is investigating ways to add a training room for firefighters next to the Mercer Engine Company on Witherspoon Street, they switch grant money to pay for a gym right next door- a gym which right now has no obvious users. Although the task force has not yet reported back, it seems pretty clear that the decision has already been made to expand facilities for firefighters on the Valley Road site. The only question is how to fund it. 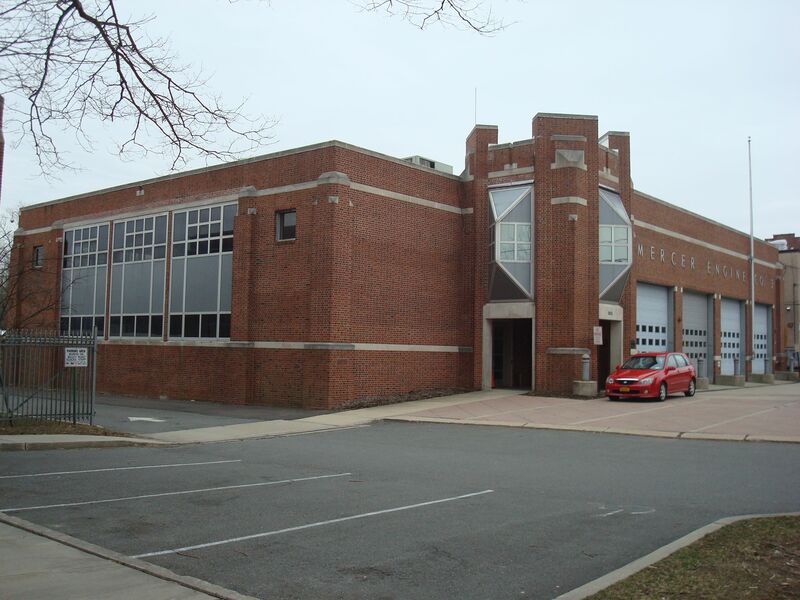 We previously suggested that any expansion of the Mercer Engine Company site could be funded by the sale and adaptive reuse of the other two Princeton firehouses, which are currently serving no firefighting purpose. This would free up the redundant firehouses as sites for much-needed walkable housing. Princeton Council ought to be transparent about their plans for firehouse expansion, particularly with regard to the financing. Princeton taxpayers and pool users recently got dumped with an extra $500,000 bill for renovation of Community Park pool, after an off-balance sheet vehicle for funding the project failed to deliver. Princeton should not be embarking on any more creative financing projects, and using grant money that was intended for playing fields to fund a firehouse expansion would certainly fall into that category. We should certainly ensure that our firefighters have proper facilities, but it is absurd to go from having 3 firehouses pre-consolidation to 3 1/2 firehouses after consolidation. Such a move would bring the whole idea of consolidation into disrepute. Modernization should go hand-in-hand with streamlining. As for the Valley Road site, we tend to agree with local resident Joe Small, who told Princeton Council in August that more housing and tax ratable property should be the top priority for the site. It’s not clear that whatever plan Council is cooking up will enable this walkable infill site to be used for housing in future, but increasing housing opportunities ought to be high on Council’s priority list. Have your say: how should firehouse expansion be paid for? Should Princeton retain firehouses at Chestnut Street and Harrison Road even if all firefighting operations are directed out of the site on Witherspoon Street? And is the public being consulted appropriately about the future of the former Valley Road School site? This entry was posted in Princeton, Smart Growth, Zoning and tagged Princeton, Princeton Council. Bookmark the permalink. 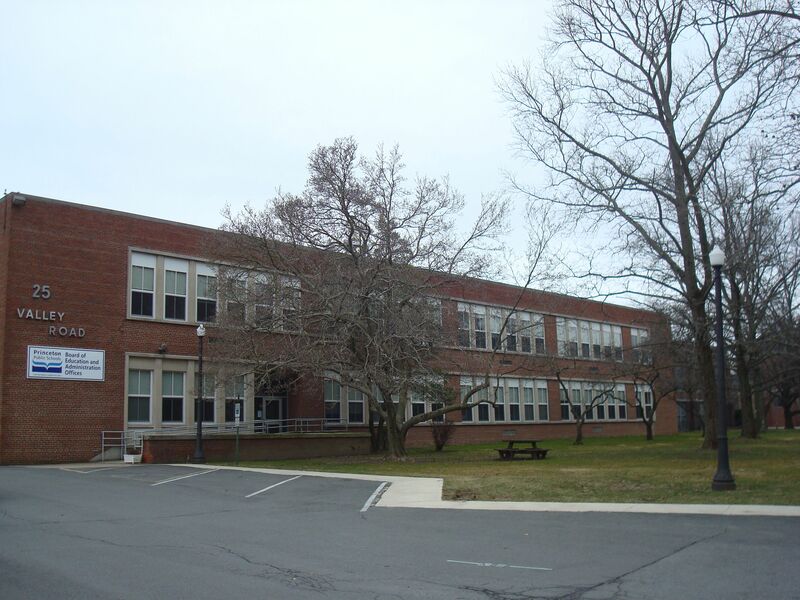 3 Responses to Why Is Princeton Council Funding A Gym At The Valley Road School Site? It all seems very strange to me. I thought the school board, not Princeton council owned the Valley Rd school site. If that is the case then why is the council funneling money that direction? As for the firehouses – if all fire dept activities are operating from the Witherspoon site why on earth aren’t the other sites being repurposed or sold? Yes, Mr. Small, build more houses so that more people can get ripped off by three different, totally uncoordinated local taxing jurisdictions, in addition to the state. As if Princeton isn’t congested enough, especially my neighborhood. Next idea!